A survey by the National Bureau of Statistics (NBS) has indicted “law enforcement agents such as the police and judiciary workers such as judges and magistrates” as the highest takers of bribe in Nigeria. It also indicates that 32.3 percent of Nigerians had to pay some form of bribe to public officials between June 2015 and May 2016. According to the survey, released late Wednesday, a total of N400 billion was received in bribes by public officials within the period in review. “With such a large portion of public officials initiating bribes, which are paid upfront, it seems that many public officials show little hesitation in asking for a kickback to carry out their duty and that bribery is an established part of the administrative procedure in Nigeria,” the report read. “Taking into account the fact that nine out of every 10 bribes paid to public officials in Nigeria are paid in cash and the size of the payments made, it is estimated that the total amount of bribes paid to public officials in Nigeria in the 12 months was around N400bn, the equivalent of $4.6bn in purchasing power parity. “This sum is equivalent to 39 per cent of the combined federal and state education budgets in 2016. The average sum paid as a cash bribe in Nigeria is approximately N5,300, which is equivalent to $61 – PPP. The survey also showed that almost 70 per cent of the bribes were paid before any service was rendered. It also added that though money is the most important form of bribe payment in Nigeria, there are other forms including “provision of food and drink, the handing over of valuables or the exchange of another service or favour”. Majority of the bribes were paid “to speed up or finalise an administrative procedure that might otherwise be delayed for a long period or even indefinitely”; the second largest proportion of bribes is paid “to avoid a fine through frequent encounters with police”, while 13 per cent of the bribes are paid “to avoid the cancellation of public utility services”. According to the report “law enforcement agents such as the police and judiciary workers such as judges and magistrates were the highest takers of bribe in Nigeria”. “Police officers are the type of public officials to whom bribes are most commonly paid in Nigeria. 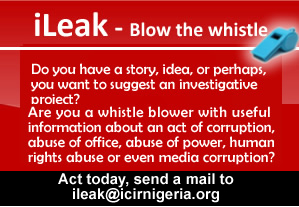 Of all adult Nigerians who had direct contact with police officers in the 12 months prior to the survey, almost half paid the officers at least one bribe, and in many cases, more than one since police officers are also among the three types of public officials to whom bribes are paid most frequently in Nigeria,” the report read. Others include “car registration/driving licence officers; tax and customs officers; road traffic management officials; public utilities officers and land registry officers”.